Happy 15th to Epcot's Off Kilter & Happy Canada Day! | Focused on the Magic : Happy 15th to Epcot's Off Kilter & Happy Canada Day! Happy 15th to Epcot's Off Kilter & Happy Canada Day! and sometimes breaking into a jig with them (ok, lest you think they are complete dorks, they were really young at the time) at the Canada Pavilion on many an occasion. They are one group we always seek out. 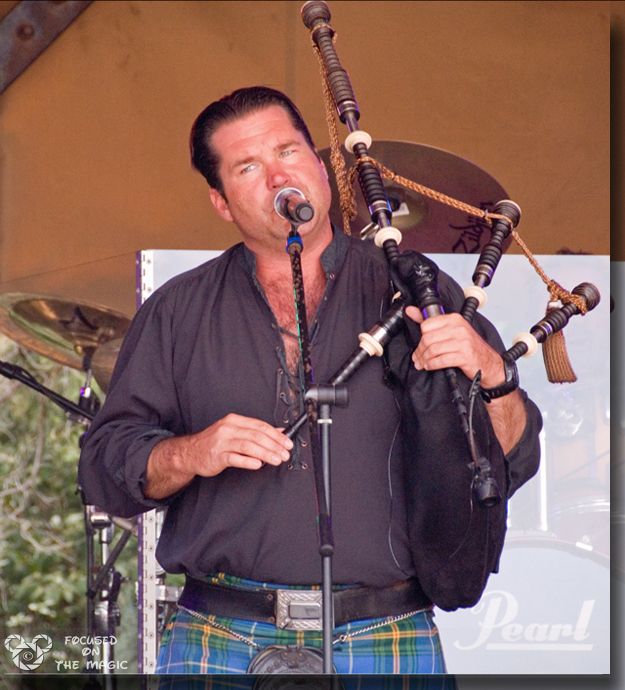 Performing 5x a day, Off Kilter is a tough act to miss out on and no FP required. They draw a crowd at each performance but because their stage is out in the open thoroughfare of the World Showcase you can always grab a great spot to watch and listen. My youngest son has all their CD's downloaded and listens to them regularly.You can read all about them, listen to music and see lyrics on the Off Kilter Website or skip right over and shop for Off Kilter Merchandise, CD, music clips. Happy Canada Day to all my Canadian Disney Friends! Thank you to my DF @Jackie Psarianos for sharing this great Brave picture. We love them and stop to see them every time we are in Epcot.. Isn't great that we can enjoy listening to them with our kids?